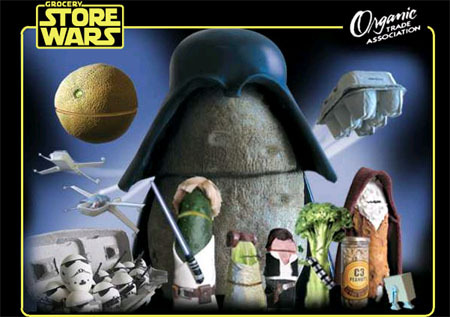 I guess you can't get too mad about a reinterpretation of the film based on organic produce. That takes some creativity. The voice of Chewbroccoli isn't half as good as Ben would have made it, though. This is really cute. I saw this movie being introduced in TV the other day..